We offer limited edition works in fiber, wood, copper and glass will bring warmth to your home or make a great gift for friends and family. New fashion is coming to ArtQuest! We are back from a very successful StyleMax Chicago, a fashion event held in Merchandise Mart. We found fantastic and very ArtQuestic new apparel. All clothes are American designed and made! One collection will come to our store very soon and be ready for this summer season, the other two will be available at the end of September. INOAH – bold & beautiful! This casual, easy wear line is full of color and fun prints on soft knits. All very unique pieces to create a look that is completely your own! Their clothes have a relaxed fit and comfortable feeling. Loose knits have a nice weight and stretch, and the colorful pebble prints are so versatile. INOAH Clothing will be available at the end of May. American made, Fenini creates comfortable clothing with cotton blend fabrics, each style is unique and attractive. Complimenting your lifestyle, these casual chic outfits have the breathable cotton clothing and eye-catching features sure to please. Fenini cotton clothing gives you style, comfort, and space to enjoy living. as we support Made in USA clothing! The Margaret Winters Collection delivers beautiful, fashion-forward knitwear styles in silhouettes for every body type. The brand utilizes luxe fabrics, such as rich cotton and the finest rayon, in both natural and vibrant colors. Think classic looks with a modern twist that are perfect for both casual and dressy occasions. Margaret Winters Fall Collection will be available at ArtQuest in September 2017. We are back from two very successful gift shows: in New York and in Philadelphia. all kinds of newness for the whole year ahead! Laser-cut bowls and coasters. Decorative glass objects for the garden. Glass from Dutch and Italian designers. Bags and purses made from cork. American made. Happy Bunny and Swedish dishcloths. Sweet little gifts. Our artists: Bibelot, Ugone and MM Welsandt. We found new gems throughout the shows . . .
jewelry, purses, glass, ceramics, wood, candles, and other home goods. delivery is now through October! 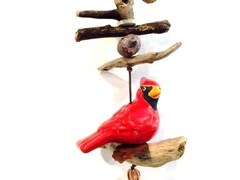 We couldn’t help but notice that birds theme art and gifts are happening around the store. Oh my, it turns out that we are a very birdy store! 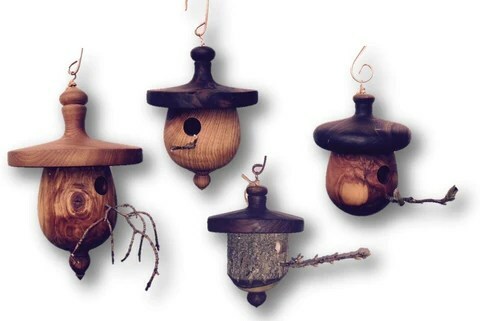 AND WOODEN WIND CHIME FROM JINGLE BIRDS. BASIC SPIRIT METAL MAGNETS AND KITCHEN ESSENTIALS. WALL CLOCKS FROM DUANE SCHERER AND STICKS. ALARM CLOCKS FROM PAPER SCISSORS ROCK. BIRD SHAPED GLASS VASES FROM BIBELOT. GLASS BIRDS FROM DRAYTON GLASS WORK. MOTH SPECIMEN VINTAGE NOTEBOOK. CANDLE HOLDER FROM LISA ELIAS AND PIE BIRDS FROM POLISH POTTERY. FUNCTIONAL BIRDHOUSES AND HAND WOVEN REVERSIBLE RUG. Not sure what the right gift is? come to us . . .
. . . we have it right here for you! plus we love to gift wrap! When your dad is a sports fan…. or he is a golfer…..
and when the garden is his passion…. is certainly a time to remember those who have fought and given their all for the freedoms that so many enjoy. It’s also a time that families and friends tend to gather and enjoy time together. Here is our collection of unique decoration to make this special day even more festive. Hand painted metal on magnets – American Flag and Sam – boy with flag from Carol Roeda Studio in Grand Rapids, Michigan. Artwork from Sticks. Wooden plaques 7″ x 7″. Celebrate Memorial Day with American art! Some of the most popular artwork we have at ArtQuest is the wide variety of beautiful hand-made art glass.The glass pieces are hand-crafted, and they are remarkable for their vibrant colors and patterns. The pieces are placed throughout the store to show off their individual coloring. DROP BY AND TAKE A LOOK! Fire & Light colored glassware is a product whose history is a kind of future, where age-old craftsmanship meets innovative manufacturing, utilizing post consumer glass as a resource. But it’s the beauty that will get you, the twinkle of light on the surface of a watery blue bowl, and the knowledge that we get as much happiness out of making the colored glass bowl as you will from having it on your table. DRESS YOUR TABLE WITH UNIQUE GLASS PLATTERS, PLATES, JUGS AND WATER BOTTLES. EACH PIECE IS FOOD SAFE AND MEANT TO BE ENJOYED. Located in Milton, WV Blenko Glass is an American institution and has been in business since 1893. For over 100 years Blenko has maintained and carry on the tradition of hand making glassware in America. IT’S THE BEAUTY THAT WILL GET YOU, THE TWINKLE OF LIGHT ON THE SURFACE OF A WATERY BLUE BOWL, LAVENDER PLATTER, AQUA PLATE OR HONEY BOTTLE. Graduation is a special time of gratitude, thanks and commemoration. It’s a look to the future by pausing to reflect on the past. It’s an opportunity to thank graduates for their hard work, as well as the people who helped them along the way. Cap off the proud moment with the perfect graduation gift or thoughtful gift for their teachers. Sticks Artisans. Hand crafted home decor. Built from scratch. Hand drawn, burned and painted. Custom orders available.